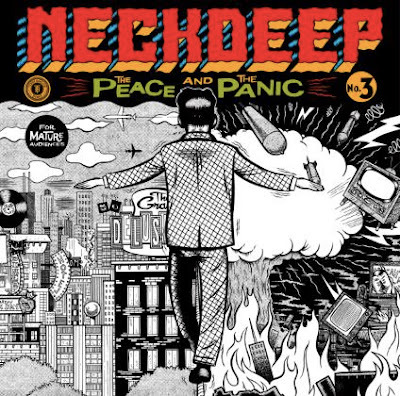 Neck Deep has announced the release of their new album, "The Peace And The Panic", on August 18th via Hopeless Records. The album will contain 11 tracks and was produced by Mike Green (Paramore, Pierce The Veil). [The album] is a meditation on the constant duality of life and the struggles that come with it. It comes blessed with an acknowledgement that seizing the day and having a laugh with your mates is important, but so is the personal growth that comes with pain and existential crisis. Additionally, the band has also streamed 2 new songs on Daniel P. Carter's Radio 1 Rock Show last Sunday. "Where Do We Go When We Go"